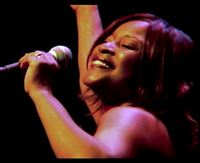 Pamela Hart – Women In Jazz Association, Inc.
Pamela Hart is highly regarded as Austin, Texas’ finest jazz vocalist. Noted by Austin Women’s Magazine as “Austin’s First Lady of Jazz,” audiences rave about Pamela’s excellent pitch, clarity and soothing vocal quality. “Her warm, clear tones and meticulously controlled pitch carry an illusion of effortlessness”–Tribeza Magazine. Her sultry rendition of classic jazz standards and contemporary music wins immediate acceptance by any audience. Born in Los Angeles, California, Pamela moved to Austin, Texas in 1982. Pamela Hart believes in crowd-pleasing by establishing a set of songs that the audience will appreciate. She happily accepts audience requests and engages the audience in her performances. She demonstrates her vocal variety, renders some selections with jazzy scats, a taste of bluesy melody, Spanish lyrics or Cuban calypso samplings, or richly trilling tongue-roll in some of her songs. She gracefully dances on stage with the music and her radiant voice, and showcases her effervescence and vocal range. Hart has been active in music for over 20 years and willingly contributes to the community, such as performance in the Women in Jazz Concerts Series and Workshops, expressing her graciousness and giving ways as well as her artistic endeavors, while always being admired by her resourcefulness in the community. She has received significant performance credits by notable artists and supporter in the music industry. With her performances, the Women in Jazz Concerts and Vocal Performance Workshops, Pamela continues to make a difference in the jazz scene in Austin.